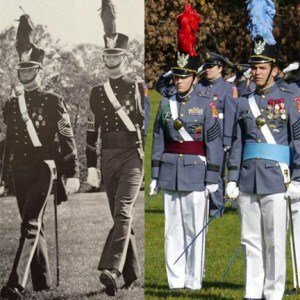 The New York Military Academy has operated on the same site under the same New York State Charter since the 19th century. Like all schools, NYMA is controlled by a board. In the past this board was mostly composed of alumni. In 2015 the NYMA board was forced to sell the school to the Research Foundation which created a new board of educational professionals, business people, and generous benefactors. The school continues to operate as a non-profit organization, receives generous tax-free donations from board members and alumni, and continues to have similar educational goals of creating excellent leaders of strong mind, body, and character. The school has always combined students from the region, the nation, and the world; this has not changed. What has changed at NYMA is that we are growing again and investing in our future. In 2017 the Research Foundation helped us make over $500,000 in capital improvements and we expect to do the same this year. Another $500,000 was invested in financial aid to make it possible for a diverse Corp of Cadets. Last year we grew from 28 cadets on September 6, 2016 to 56 cadets on September 6, 2017. We expect to expand dramatically again for this coming September. In addition, last summer we hosted over 400 students for summer programs and are expecting to host 700 students for Summer 2018. The community has always come to the campus through sports, arts, and dance programs which rented facilities; this practice is continuing. More than anything we continue being NYMA because of the devotion of our faculty and staff who take care of our cadets and our culture. We continue to strive to meet the same high standard of the past and to restore the sense of pride and excellence that governed NYMA for over a decade. That being said, we have also made some changes from the old. We no longer tolerate bullying or physical discipline, our dorms are much improved with better infrastructure, and our academic standards have and will continue to rise. Come visit us, see our progress, and tell us how we can continue to improve. Previous Previous post: HVAL Champions!